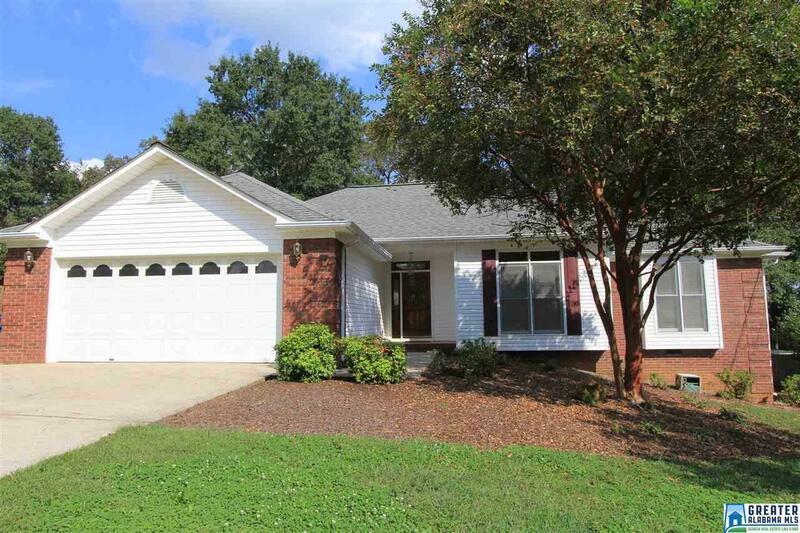 Beautiful 3BR 2BA Home in Oxford! This custom built home in the Timbercrest community offers an attractive, low maintenance brick and vinyl exterior & pretty landscaping. TONS of hardwood floors - almost entirely thru-out!! Large Family Room is accented by a soaring vaulted ceiling & features a ventless gas log fireplace flanked by floor to ceiling arched windows. Formal Dining Room has lots of detailing with chair rail molding, double tray ceiling & French doors. UPDATED KITCHEN w/solid surface counters, gorgeous travertine backsplash, moveable island, vinyl flooring, stunning cabinets with showcase section & dimmable lighting, pantry, and breakfast niche with bay window. (Kitchen appliances only 3 yrs old.) HUGE Master Bedroom w/TWO closets & a great Master Bath w/individual vanities, linen closet, jetted tub & separate shower. HVAC only 5 yrs old. Wonderful deck and well shaded back yard for your outdoor enjoyment. Call today for more information and your personal tour! Driving Directions: Friendship Rd To Forest Ln, R On Dale, L On Shannon Brook. Home On R.